It’s no mystery that YouTube will be absorbing Google Play Music – that much we’ve known since July – but seven months later and we still don’t really know any details outside of some rumors about a rebranding to YouTube Remix. The latest update to the YouTube Music app might shed a little bit of light on what we can expect regarding the apps we’ll actually be using. Over the last year or so, the Play Music app hasn’t had too many big, sweeping changes. Almost everything has come in relatively small, but very specific updates. That makes it pretty easy to spot when one of those same changes appears in the YouTube Music app. 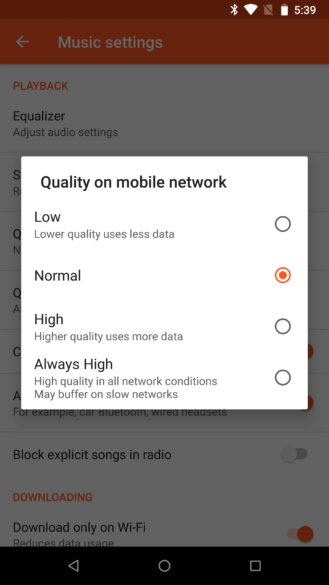 The Play Music app has had a setting for streaming quality roughly since the app launched, but it wasn’t until about a year ago when that single option turned into three. Now text similar to those settings has been added to the YouTube Music app, hinting that the same options are migrating over from Play Music. 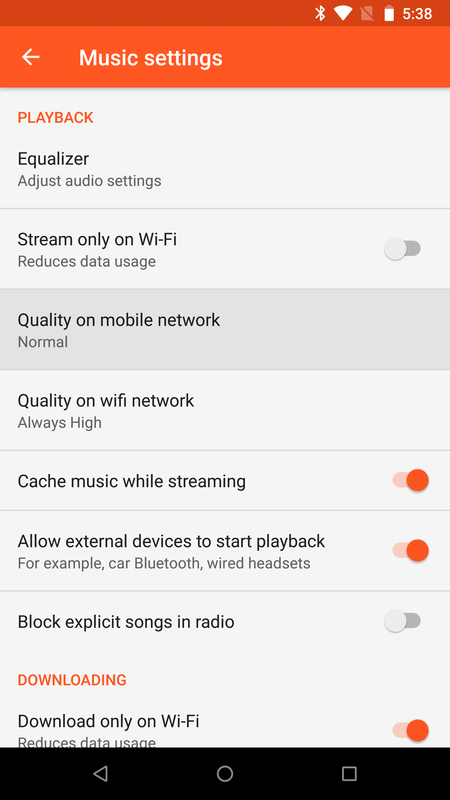 For comparison, the Google Play Music settings are shown below, or check out the teardown that first discussed the new streaming settings when they were added to Play Music. Even though some names and text are very slightly modified, it’s immediately obvious that everything else is the same, with users getting to choose between Low, Normal, High, and Always High. Screenshots are from Google Play Music. In case you’re wondering, the Play Music options cover mobile networks, Wi-Fi, and downloaded music. The new strings cover the live streaming options, but there’s nothing about options for downloaded music. 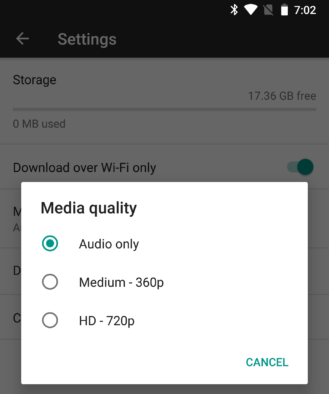 That’s because YouTube Music already has it the Downloads section, which allows users to choose between HD, Medium, and Audio Only for their music videos. 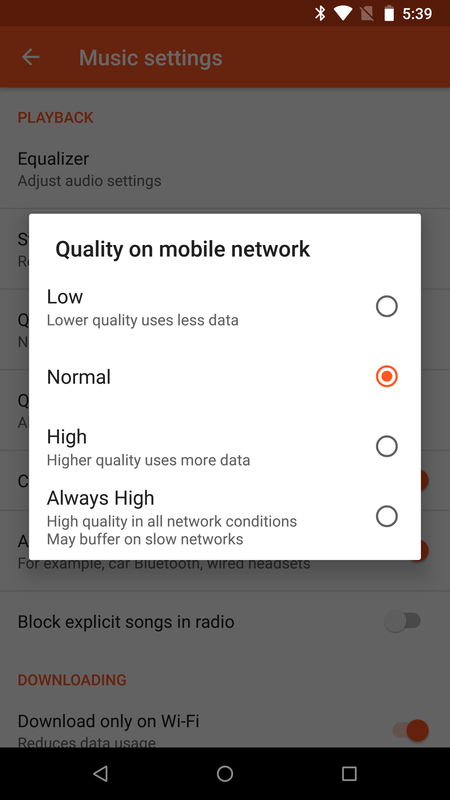 While these settings are hardly conclusive proof of anything, the fact that they are an obvious mirror of the settings in Play Music feels like a good indicator of what’s to come. My expectation is, as many others also assumed, that YouTube will port the key features over from Play Music into the YouTube Music app, then eventually terminate the Play Music app. When can a tire be fixed vs when does it need to be replaced?